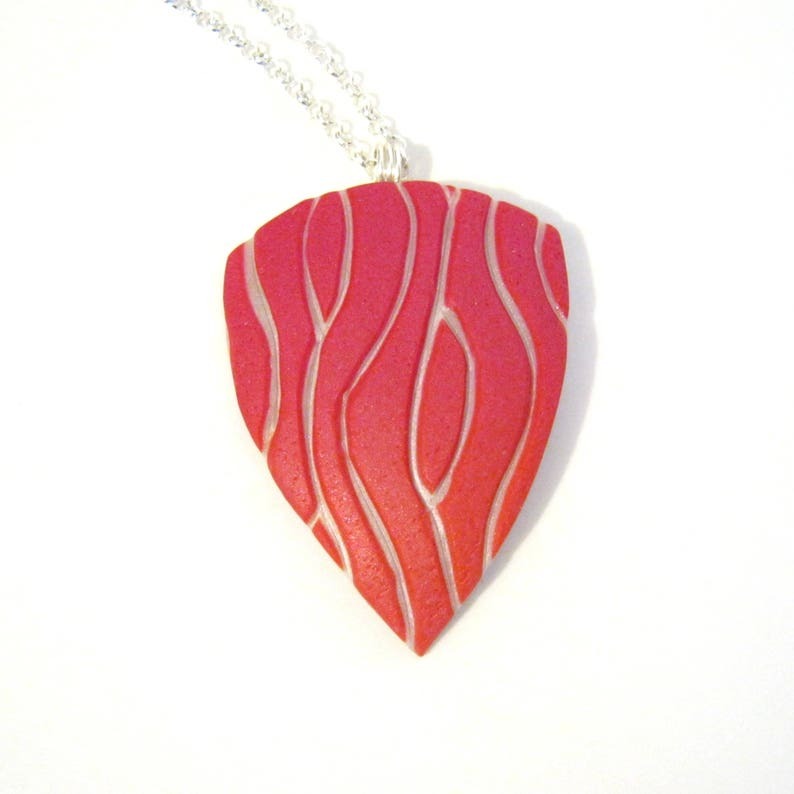 A red omber curved triangular pendant with a wavy pattern carved away to reveal the white layer underneath. Through the nature of carving, the range of shades available when blending polymer clay into gradients, and use of hand cut shape templates, no two carved shield pendants will ever be identical. Super light and durable, each is made from polymer clay and finished with an embedded silver plated wire bail and comes ready to wear with a silver plated rolo chain in your choice of length. Each pendant is solid clay - no paints, stains, or glazes have been used.